I am doing a project on the psychological and physiological effects of forgiveness and would love to know if you know testimonies of people who have physically become healthier as a result of forgiveness? There are a good number of such testimonials available by searching the Internet for websites like ours: www.internationalforgiveness.com. For example, on the Why Forgive page of our website, you’ll find an article and a link to a short video about the amazing power forgiveness has had on one woman’s life and her battle with cancer. “If I hadn’t learned to forgive,” Jayne Valseca says, “I may not even be alive today.” Watch the video here. On the “Forgiveness News” page of this website you’ll find a post entitled: “Forgiveness Saved My Life” says World War II Army Veteran Louis Zamperini who was Immortalized in the book and movie ‘Unbroken’. In an interview following the release of his book, he said: “Well, when you hate somebody, you don’t hurt them in the least. All you’re doing is hurting yourself. But if you can forgive—and if it’s true—you’ll feel good. It’s chemical. White corpuscles flood your immune system, and that’s a secret to good health.” Click on either of the two links above to read more. Finally, I refer you to one of the many scientific studies Dr. Enright has conducted; this one published in the journal Psychology and Health: “The effects of a forgiveness intervention on patients with coronary artery disease.” The study results demonstrate and document that forgiveness intervention was an effective means of reducing anger-induced myocardial ischemia in patients with coronary artery disease. All Dr. Enright’s Peer-Reviewed Empirical Studies, with links to each of the full study reports, are also available on this website, at either of these links. We have forgiveness education curriculum guides for teachers, parents, and school counselors in our Store. 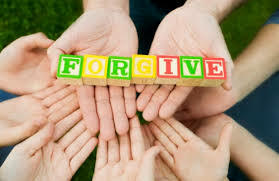 The guides show you, step-by-step, how to implement forgiveness education for about one hour a week or less to children as young as age 4 or as old as age 17. The medium for instructing students on forgiveness is through stories. We have summaries of these stories for your examination and use as you wish. Our research shows that as students learn about forgiveness, they become less angry and can increase in academic achievement. After all, if someone is fuming internally, it is hard to pay attention to the regular school subjects. • 91% of the teachers found the forgiveness curriculum materials easy to use. • 75% of the teachers observed that, as a whole, the students decreased in anger as a result of learning about forgiveness. • 78% of the teachers observed that the students increased in cooperation as a result of learning about forgiveness. • 71% of the teachers observed that, as a whole, the students improved in their academic achievement as a result of learning about forgiveness. • 91% of the teachers thought that they became a better overall instructor as a result of teaching the forgiveness curriculum. • 93% of the teachers thought that they became a better person as a result of teaching the forgiveness curriculum. • 84% of the teachers thought that their classrooms as a whole began to function better as a result of the forgiveness curriculum. • 76% of the teachers thought that the school as a whole began to show improvement because of the forgiveness education program. 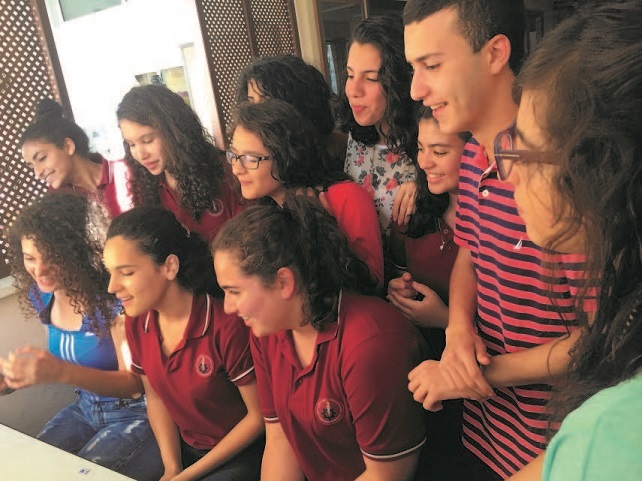 When teachers at the Mar Elias Educational Institutions (MEEI) recently focused lessons on the benefits of forgiveness, some students couldn’t see the point. They vehemently opposed the idea of forgiving anyone, even in their own families, but especially after the 7-week war of 2014. Although Building Peace on Desktops is MEEI’s highest goal, teaching skills for peace-building can be a challenge – especially when students encounter discrimination and hear news of violence on almost a daily basis. This year, thanks to a Pilgrims of Ibillin partnership, MEEI teachers have a new resource: a Forgiveness Education curriculum created for Northern Ireland, tested and refined there over the last 14 years. The creator of this curriculum is Dr. Robert Enright of the University of Wisconsin-Madison, founder of the International Forgiveness Institute. An internationally recognized leader in the field of forgiveness education, Dr. Enright has visited Ibillin twice in the last 8 months to meet with teachers and introduce his forgiveness curriculum. With his guidance, eight high school teachers at MEEI began teaching forgiveness this school year, involving about 600 students in the lessons. • On a return visit in June he will meet with MEEI’s elementary and high school teachers for a day of exploring more deeply what forgiveness is and is not. • Four other directors of regional schools will be invited to this in-service training, with invited leaders coming from both Arab and Jewish schools. • Mar Elias will begin planting forgiveness education deeply in the 9th grade curriculum next year and then continue over the coming years until it is instilled for grades 9, 10, 11, and 12. EDITOR’S NOTE: This article is from the Feb. 2015 newsletter of Pilgrims of Ibillin–an organization whose vision is to foster peace and justice in Israel-Palestine through education. Dr. Enright was introduced to the organization and Mar Elias Schools by the Rev. Joan Deming, Executive Director of Pilgrims of Ibillin. Pilgrims of Ibillin was founded by Abuna Elias Chacour (“Abuna” means “Our Father” in Arabic), a three-time Nobel Peace Prize nominee, who recently retired from serving as the Archbishop of the Melkite Catholic Church for Akko, Haifa, Nazareth, and all Galilee. He is also the author of the best-selling Blood Brothers which has been translated into more than 20 languages. Father Chacour founded the Mar Elias Schools more than 30 years ago in Ibillin–a small Arab village in the Galilee region, near Nazareth, where Christians and Muslims have lived together peacefully for hundreds of years. The cluster of MEEI schools now serves more than 3,000 students from preschool through high school. I found out on the 12 Jan 2015 my wife has had an affair since early 2013 and she has ended it as soon as i found out. She is deeply remorseful. I believe the bible & your advice has helped me to forgive her on 17 Feb 2015. However, thoughts come at me of what she has done and this causes hurt and pain. What advice can you give to help me with my pain? 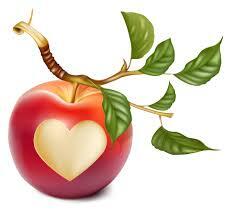 First, I want to congratulate you on your wisdom in turning to forgiveness as soon as you did. Please keep in mind that a period of confusion and anger is normal and so please do not be dismayed when these feelings come to you. Forgiveness is a process and it can take time. You say you read the Bible and so I am presuming that you are a Christian. If so, then you can read in Genesis 1 that we are all made in the image and likeness of God. This includes both you and your wife. I would urge you to reflect on that whenever you are feeling deep pain: Both of us are sinners and we are both made in the image and likeness of God. Building trust is not the same as forgiving. Your wife now needs to show, within reason, that she truly is over the affair. Try to see small steps in her that are leading to remorse and a willingness to turn her life around and to turn to your marriage. In time, as forgiveness helps you to be open to trust, your trust will start to grow. For now, please remember: You are both made in the image and likeness of God. You are both sinners. Jesus’ redemption is for both of you. Stacey Gonzales and her daughter, Janessa Ramirez, were chatting with friends in front of a Laundromat on Jan. 18 when Janessa was hit by the stray bullet and soon after died at a local hospital. Brian Cooks, 22, and Isaac Stafford, 19, were arrested and charged with murder less than two weeks later. It was Gonzales’ forgiveness that broke the case open. 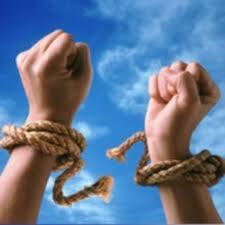 One of the most frequent questions I receive concerns the process of forgiving yourself. The short answer is, yes, you can forgive yourself with certain cautions in mind. 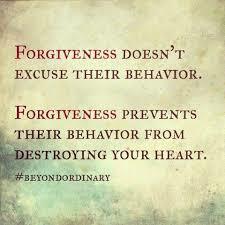 First, when you forgive yourself, you are both the offended one and the offender. And we rarely offend ourselves in isolation. Thus, you should go and make amends with those who also were offended by your actions. This includes asking for forgiveness, changing your behavior and making recompense where this is reasonable. After that, as you turn your attention to forgiving yourself please keep this in mind—What you have been offering to others in forgiving them (gentleness, kindness, patience, respect, and moral love), you can and should offer to yourself. The Forgiving Life, (APA Lifetools), Robert D. Enright (2012-07-05), American Psychological Association. 1) You have a goal of helping the one who hurt you to grow in character. By your love, you can now gently ask something of him or her. 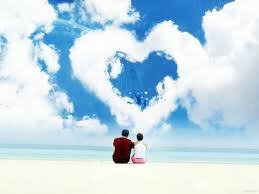 What will you ask of him or her, after you have forgiven (so that you can approach this person in love)? 2) You have a goal of trying as best you can to reconcile with the person who hurt you. Is he or she remorseful (with an inner sorrow) and repentant (as he or she expresses this)? Even if the answer is “no,” if he or she is not harmful to you, you can remain in his or her presence with the hope that your love will help the person grow in insight so that he or she changes for the better.